Should be called the sub-marine case because it protects your phone from dunks and splashes. 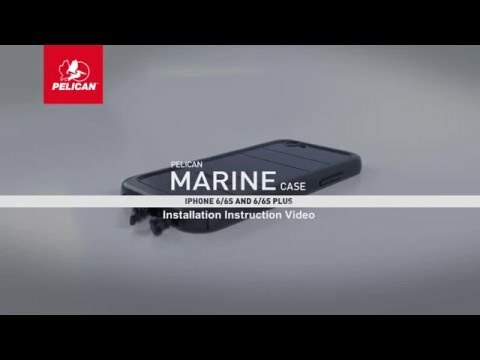 Pelican makes some of the toughest gear cases in the world, and now applies their know-how to phone case. Complete enclosure protects your phone from impact as well as dust and water. Slim design with soft-touch over-mould is easy to hold and won't slide off surfaces. Tough polycarbonate shell and internal elastomer for impact protection. Soft, grippy TPU buttons and internal phone holder. Waterproof for complete and continuous submersion (no depth rating given). Tested to survive multiple drops. Scratch resistant coated screen protector.